Amanda Vanstone, minister for immigration, takes the fall for John Howard’s government when their policy on boat people causes problems. She was later rewarded with a diplomatic post to Italy. 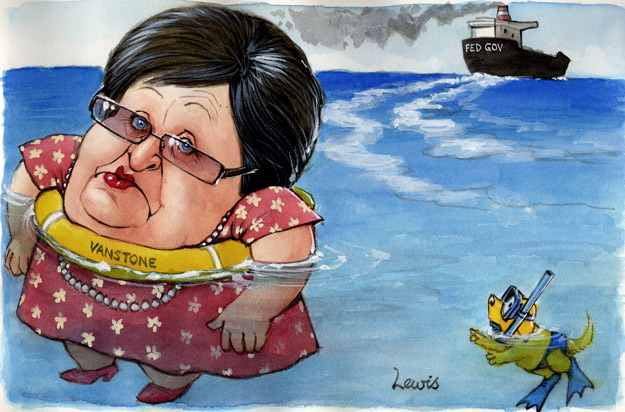 This entry was posted in Editorial Portraits and tagged Amanda, Amanda Vanstone, asylum seekers, australia, boat people, immigration, John Howard, liberal, refugees, Vanstone on December 2, 2012 by Art by Peter Lewis.